Merchants keep an account with an acquiring financial institution to receive credit for credit card transactions. Daily credit card receipts are deposited into the merchant’s account less any fees. A popular reward program by co-branded cards. Air miles are earned with every use of the card and transferred to the cardholder’s account with that airline. Most widely used balance calculation. Credits your account from the day payment is received by the credit card company. Calculated by adding each day’s daily balance then divide that total by the number of days in a billing cycle. The average daily balance is then multiplied by a card’s monthly periodic rate (divide the annual percentage rate by 12). Depending on the details of your plan, new purchases may or may not be added to the balance, cash advances are usually included. The new daily balances are added for the billing cycle. Moving an outstanding credit card balance from one issuer to another. Fee charged for transferring an outstanding balance from one credit card to another. If you are absolutely unable to pay your debts, this is the last resort for filing for financial protection. Each plan must be filed in federal bankruptcy court. Individuals who follow the bankruptcy rules receive a discharge- a court order that says they don’t have to repay certain debts. Chapter 7 – eliminates all debts except some taxes and possibly alimony payments. This plan liquidates all assets that are not exempt such as cars, work-related tools and basic household furnishings. Some property may be sold by a court appointed official or turned over to creditors. Chapter 13 – allows a borrower with a stable income and limited debt, to pay off bills under a court approved repayment plan over a 36 to 60 month period rather than surrender any property. Both types of bankruptcy generally eliminate unsecured debts and stop foreclosures, repossessions and debt collection activities. However, you are still liable for child support, alimony, fines, taxes and some student loan obligations. Bankruptcy is to be undertaken only with very serious consideration because it severely limits future access to credit such as a home mortgage and car loan. Bankruptcy may be reported on your credit report for up to 10 years. Credit cards give a cash advance limit to obtain cash but this comes with a fee. The checks that come attached to your monthly statement are also a cash advance. The fee can be a per-transaction fee or a percentage of the cash advance. The cash advance fee is costly because there is no grace period and the interest accrues as soon as the money is withdrawn. Usually 2-5% of the money advanced. Cards with a pre-established value. Read by a special cash card reader. The card is drawn down until the value is zero. Beware that these are like cash with no built in security if they are lost are stolen. This credit card allows the user to earn cash “rewards” with each purchase. Companies make money not only through annual fees and finance charges but also from each purchase you make. They typically receive between 1-3% of your purchase. A cash rebate will return some of that fee to your pocket. Gets rid of all debts except some taxes and possibly alimony payments. Liquidates all assets that are not exempt (cars, work-related tools and basic household furnishings). Some property may be sold by a court appointed official or turned over to creditors. Allows a borrower with a stable income and limited debt, to pay off bills under a court approved repayment plan over a 36 to 60 month period rather than surrender any property. Requires a full payment of the charge by the due date. There is no carryover balance or interest rate charge. Charge accounts with local businesses often require payment on this basis. Fee for shutting down an account. Possibly charged if the account is closed before a minimum amount of time has passed. Credit card issued in partnership between a bank and another retail company. Similar to an affinity card. Many departments offer co-branded cards with special deals or discounts on purchases at their store. Co-branded cards often come with a large annual fee. Service that analyzes consumer debt and spending. Provides counseling and a plan to work out an achievable budget and debt repayment plan and work with creditors. Helps the consumer pay back debts over time. A joint signer of a credit card application with the principal applicant. Should the principal applicant default on what he owes, the co-singer is responsible for paying the balance due. A company that compiles credit activity into a credit report. This file includes where you work and live, how you pay your bills. It even includes whether you have been sued, arrested, or filed for bankruptcy. These reports are available to individuals and lenders who have a valid need for the information. The three major credit bureaus are Equifax, Experian and Trans Union. A plastic card with a coded magnetic stripe that entitles the holder to a line of credit. The amount of credit and the interest rate are determined by the borrower’s income and credit history as reported by the credit report. Insurance that pays off the credit card debt should the borrower lose his job, die or become disabled. The payoff is calculated monthly to only cover the debt that was recorded on the last billing cycle. The maximum amount of credit that is allowed on an account. If you have ever applied for a credit card, a personal loan, or insurance, there is a file about you. This file includes where you work and live, how you pay your bills. It even includes whether you have been sued, arrested, or filed for bankruptcy. Credit Reporting Agencies gather and sell this information to creditors, employers, insurers and other businesses. Periodically check your credit report for accuracy to know what has been reported and correct any errors. To check on your credit report contact the three major national credit bureaus: Equifax, Experian and Trans Union. Scoring system used by creditors to determine if you are a good risk for credit cards, auto loans and home mortgages. Analyzes data from your credit application and credit report about your bill-paying history, the number and type of accounts you have, late payments, collection actions, outstanding debt and the age of your accounts. It treats all applicants objectively by comparing your credit information to the credit performance of consumers with similar profiles. A credit scoring system awards points for each factor that helps predict who is most likely to repay a debt. The lower your score, the higher your interest rate will be. Looks like a credit card but issued by your bank. Charges are drawn directly from the cardholder’s account, typically a checking or savings account. The withdrawal of funds is immediate with online debit cards, delayed a day or two with offline debit cards. Cards with MasterCard or Visa logo can be used at any location that takes MasterCard of Visa credit cards. If the letter “F” follows the annual percentage rate (APR), the rate is fixed and not adjustable. Federal Trade Commission Act to help customers resolve billing disputes with card issuers and limit consumer liability for unauthorized credit card use. The act was written to promote accuracy and ensure the privacy of information used in consumer reports. You have the right to know everything that is in your report. The Credit Reporting Agency must also give you a list of everyone who has requested your report in the past year, the past 2 years if it was for employment inquiry. Federal Trade Commission Act holds credit reporting agencies responsible for correcting inaccurate information in credit reporting. Entities that give information to the Credit Reporting Agencies are required by the FCRA to provide accurate information. Also limits disclosure of consumer credit reports only to entities with specified purpose. The charge for using a credit card, including interest rates and other fees. Charge by some credit card dealers that adds an additional charge for purchases made in a foreign currency. Also called “grace period.” An interest-free period of time a lender gives between the transaction date and billing date, if there is no balance carried over from the previous billing cycle. Generally, the free period is between 20-30 days. If your card includes a free period, the issuer must mail your bill at least 14 days before the due date so you have enough time to pay. People who carry a balance on their cards do not receive a grace period and finance charges begin the date a purchase is made with a credit card. Offers a larger line of credit that a standard card. Credit line is usually between $2,000-$5,000. Income requirements are higher, typically $35,000 at minimum. Gold card users receive extra perks and incentives such as travel service, rental card insurance and insurance for purchases. Also called “free period.” The interest-free period of time a lender gives between the transaction date and billing date, if there is no balance carried over from the previous billing cycle. Generally, the grace period is between 20-30 days. If your card includes a grace period, the issuer must mail your bill at least 14 days before the due date so you have enough time to pay. People who carry a balance on their cards do not receive a grace period and finance charges begin the date a purchase is made with a credit card. A published market-based figure used by creditors to establish a lending rate. The most common indices are: the one-year Treasure Constant Maturity Yield; the Federal Home Loan Bank 11th District Cost of Funds; and the prime rate as listed in the Wall Street Journal. A charge for borrowed money that is generally a percentage of the amount borrowed. It is disclosed as an APR on the credit card form. The “teaser” low rate charged by a lender for an initial, temporary period to encourage customers to switch cards. After the introductory period is over, the charged rate increases to the indexed rate or the interest rate. Credit offered to a couple based on both of their assets, incomes and credit reports. The couple usually qualifies for a higher credit limit but both parties are liable for the debt. Penalty charged for not paying the monthly payment by the due date or published deadline of payment printed on the billing statement (creditor must receive payment by this date). The fee can be a flat percentage fee or a percentage of the amount of the cash advance. The smallest amount of money paid to keep the account from going into default. Often a minimum of 2% of the outstanding balance. The interest rate factor used to determine the interest charges on a monthly basis. The yearly rate (APR) divided by 12. Non-profit group that educates consumers about using credit. A combination of an ATM and credit card. Contains the MasterCard or VISA logo and can be offered by a bank, either in place of or in addition to an ATM card. After a delay of 24-72 hours, charges are drawn directly from the cardholder’s account, typically a checking or savings account. Concluding a transaction by signing a slip of paper indicates the transaction was offline. Charged for using more than the credit limit on your card. After one or two late payments (varies between credit cards), adds several percentage points to the current APR. The interest rate described in relation to a specific amount of time, either monthly or daily. The personal security number required to be entered into a keypad at the point of sale to complete the transaction. The cardholder usually selects the number and can change it. 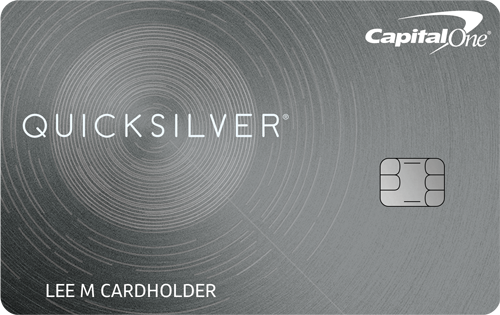 Credit card with a higher limit and more perks than both a standard card and gold card. Use an online debit card to get a cash return at the point of sale, such as a grocery store or convenience store. Avoids ATM surcharges. The applicant has passed the first round of credit-information screening. However, this does not guarantee a credit card and the company can still turn the applicant down if the credit rating is unsatisfactory. System used by card issuer basing finance charges on the amount owed at the end of the previous billing cycle. Does not include payments, credits and new purchases made during the current billing period. The interest rate a bank charges to its top customers. Many issuers use the prime rates established by large financial institutions such as Citibank or Chase Manhattan or the Wall Street Journal’s prime rate average. Credit card rates are often the prime rate plus a certain percentage to cover its risk in lending and its profit margin. 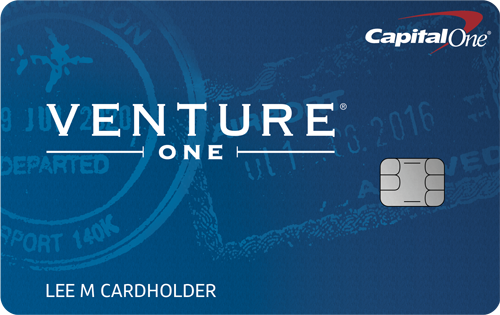 The card allows the customer to accumulate “rewards” such as merchandise, cash or services based on card usage. Rewards are usually airline tickets, discounts on future purchases or cash refunds. Credit card used by people trying to rebuild their poor credit or by beginners establishing their credit. The cardholder’s savings deposit or bank account guarantees payment of the outstanding balance if he defaults on payments. Credit line will represent 50-100% of the security deposit. Many have application and processing fees. 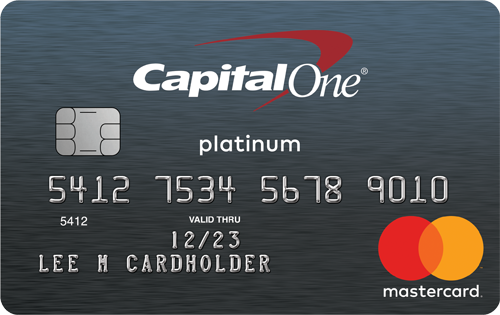 The basic card offered by credit card companies. Tiered pricing is indicated by the letter “T” after the APR. With tiered pricing different levels of outstanding balances have different periodic rates. The rate shown is for the lowest of the balance tiers. Rate is based amount of outstanding balance, cumulative charges made or cardholder’s credit and risk rating. The introductory rate. Usually a temporary lower rate to encourage customers to switch credit cards. After the teaser rate is over, the charged rate increases to the indexed rate or the interest rate. As if annual fees aren’t enough, credit card companies can charge a fee if you make a late payment, exceed your credit limit, or get a cash advance. Some even charge a monthly fee whether or not you use the card. The purchase date of goods or services or the date of the cash advance. Federal law that protects consumers by requiring lenders to publish specific information so borrowers can compare cost and terms of credit offered by lenders. The facts lenders must publicize are: finance charges in dollars and as an annual percentage rate (apr); the length of the grace period, if any; annual fees; minimum payment required; and the company providing the credit line and the credit limit. Uses the account’s last two months of activity. There are different types of two-cycle methods. This eliminates the grace period and the finance charges are usually higher. The interest on a balance is retroactive to when the purchases were posted to the account. The credit card interest rate is variable and subject to change if the letter “V” appears after the annual percentage rate (APR).